In a bowl, mix flour, cocoa powder and salt. In a separate bowl, all the wet ingredients except vinegar. 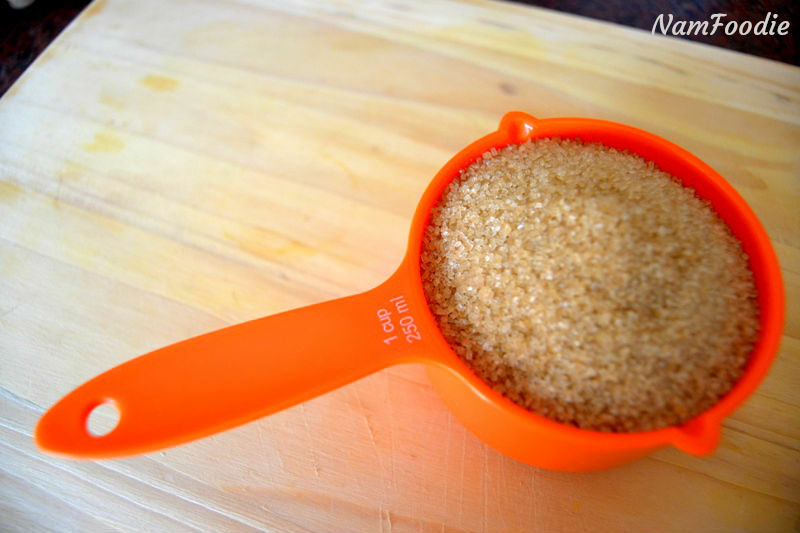 Mix the vinegar and baking soda and let out a few bubbled and add to the wet ingredients mixture. Add the dry ingredients, mix and set aside. 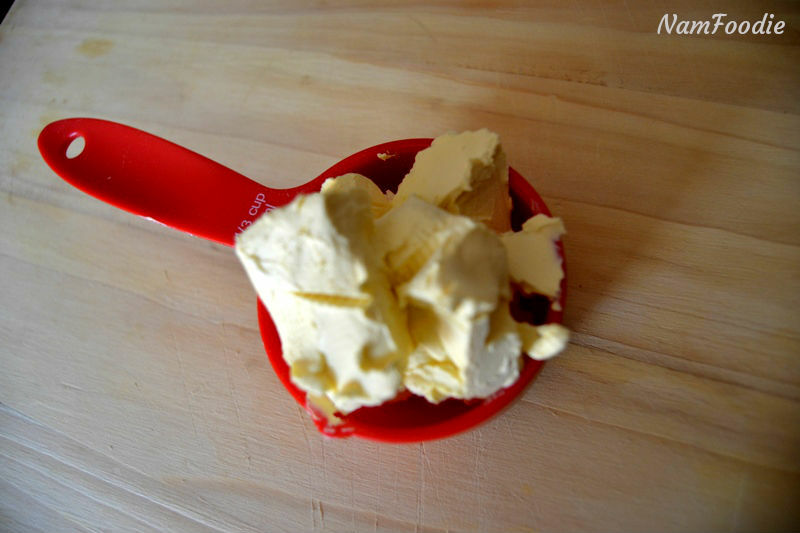 To make the cheesecake swirl, whisk the cream cheese, egg, sugar and vanilla until smooth. 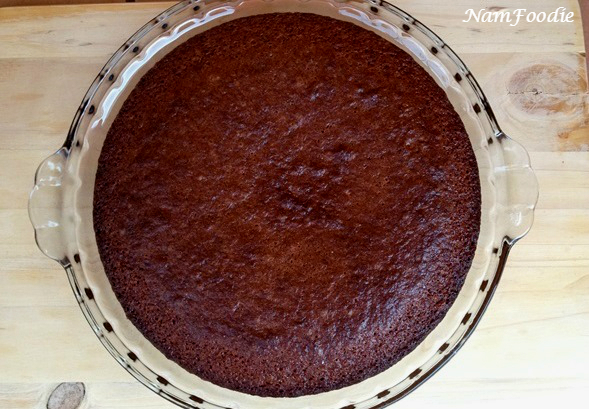 Pour the red velvet mixture into a greased pan. Pour the cheesecake mixture over the red velvet mixture and swirl with a spoon. Bake in a 180°C preheated oven for 25-30 minutes. Remove from the oven and cool completely in the pan. 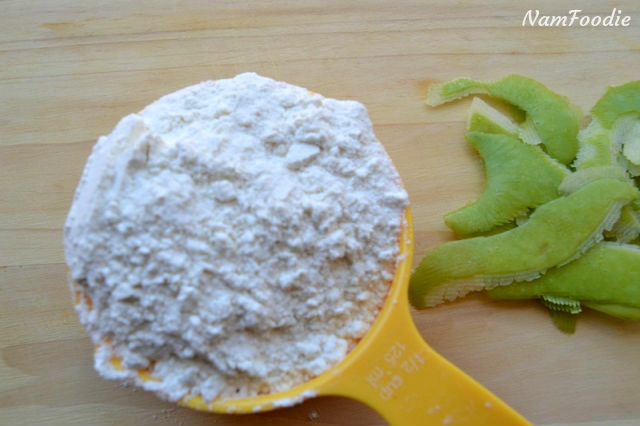 In a bowl, mix the flour, baking soda and salt. 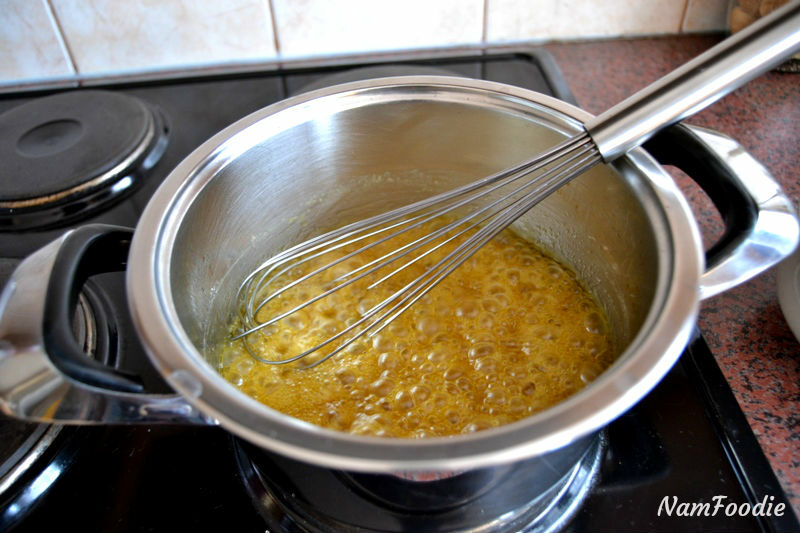 In a separate bowl, whisk together sugar, eggs and vanilla. Add the jam and mix. Add butter and vinegar and mix. 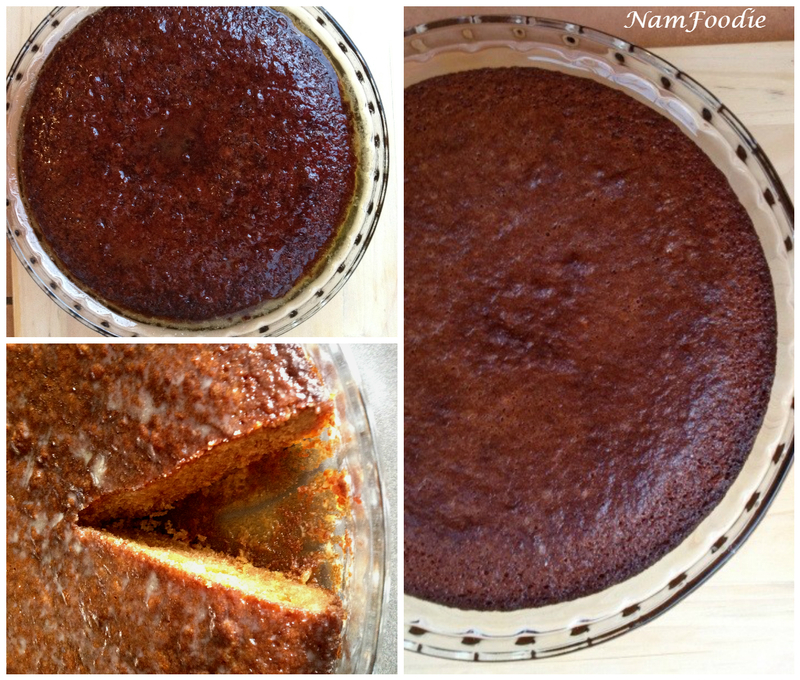 Pour into a greased glass/ceramic oven dish and bake for 20-25 minutes. Meanwhile, make the sauce (add all the sauce ingredients into a pot and bring to a boil). Pour the sauce immediately over the top. 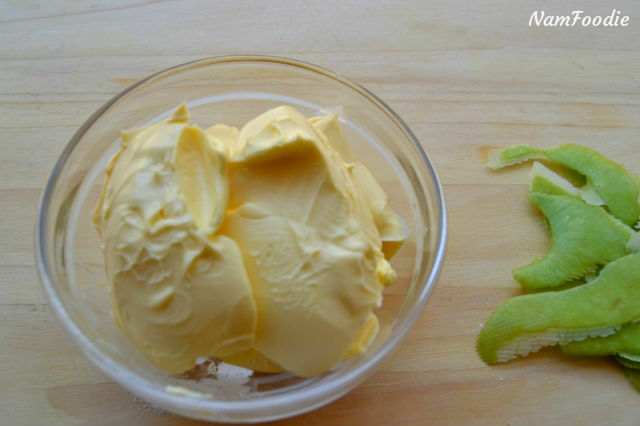 Serve warm with custard or ice-cream. Melt the semi-sweet chocolate and butter and let cool. 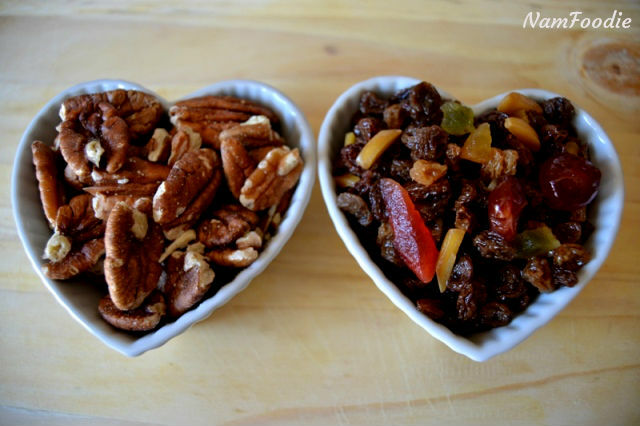 Roughly chop up the chocolate bar into large chunks, also chop up the nuts and set aside. Add the sugar to the melted chocolate and whisk. Whisk in the eggs one at a time and vanilla. Sift in the flour and cocoa powder and mix. 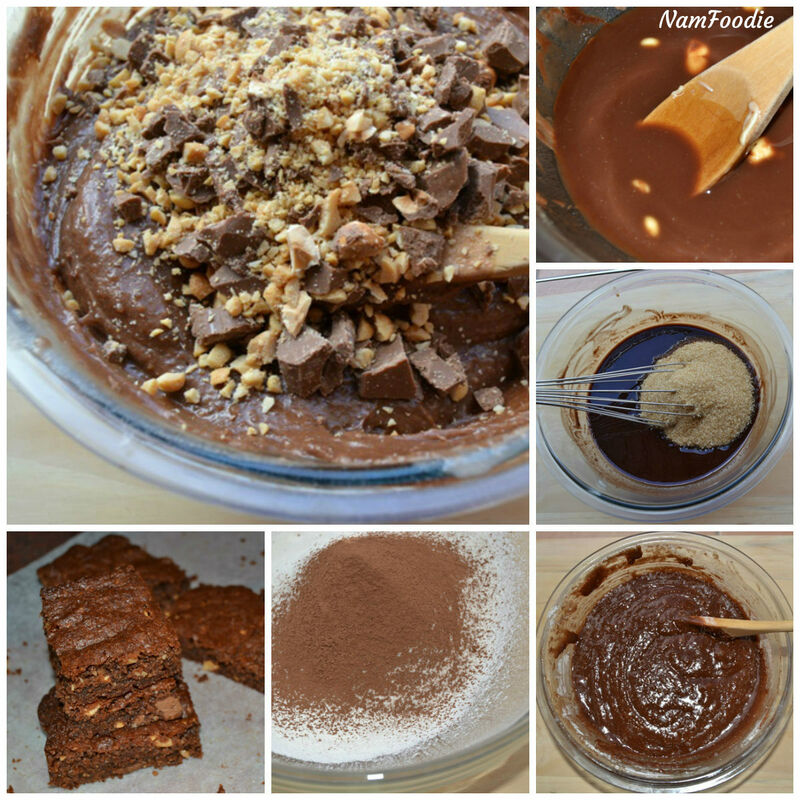 Add the chopped chocolate and nuts and mix. 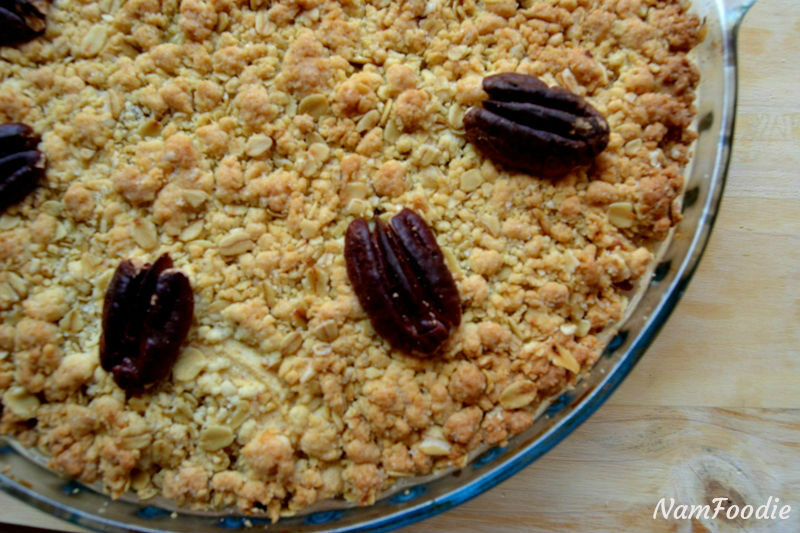 Pour into a parchment paper lined pan and bake for 30 minutes. Remove from the oven and cool slightly in the pan. 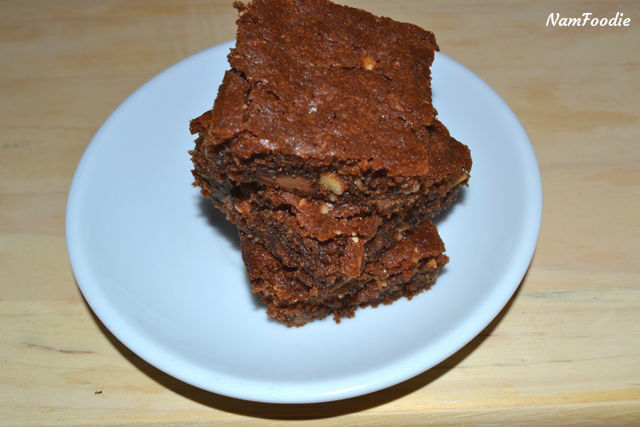 Remove from the pan and cut into squares. Soak the festive cake mix for about 10 minutes. 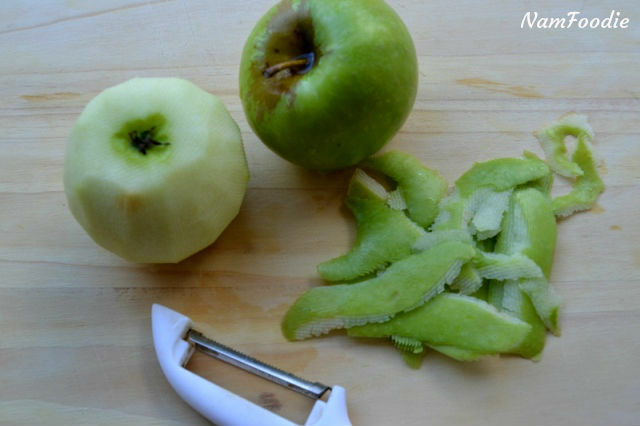 Peel, core and cut the apples into large chunks. 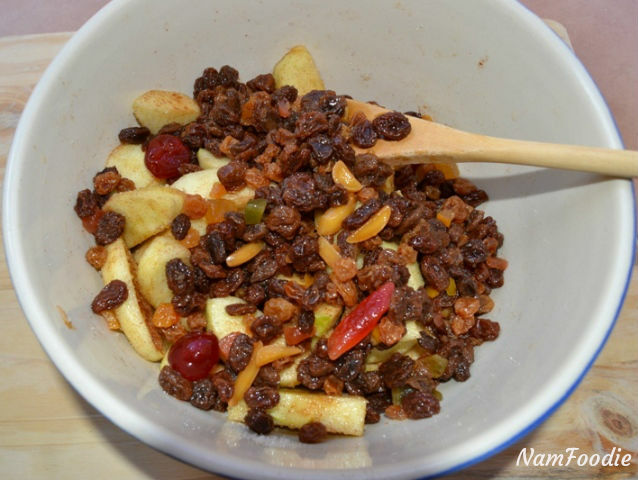 In a mixing bowl add the apple chunks, cinnamon, sugar and festive cake mix. 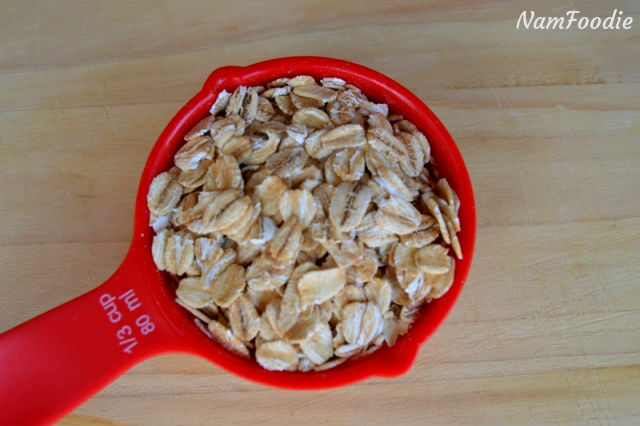 In another mixing bowl, mix the flour, oats, and sugar then mix in the butter to form the crumble. 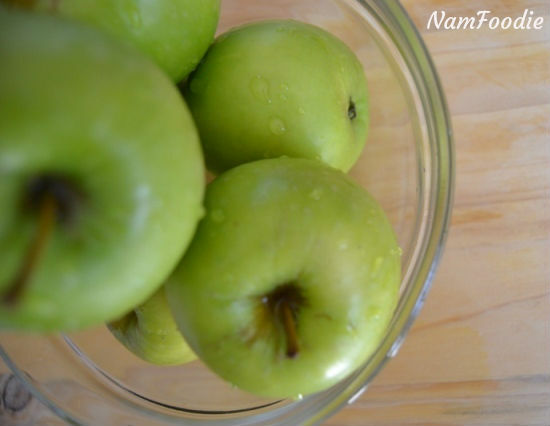 Pour the apple mixture into a pie dish. 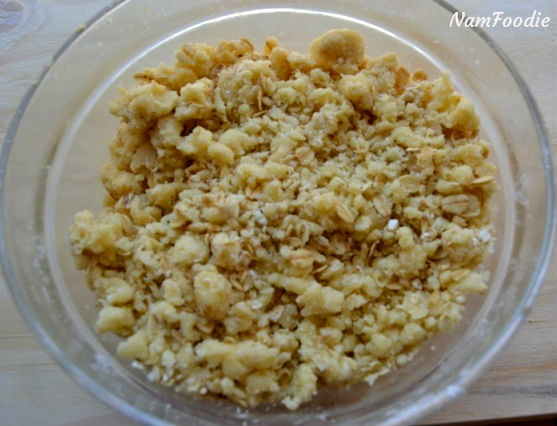 Sprinkle the crumble over the top and press down slightly. 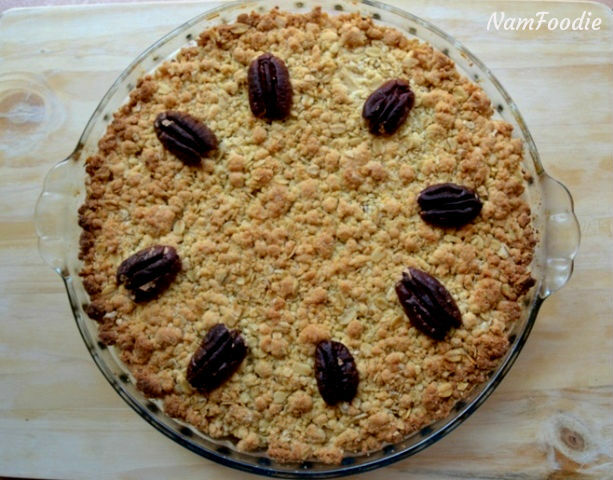 Top with pecans and bake for 30 minutes or until golden brown. Serve with ice-cream, custard or whipped cream. 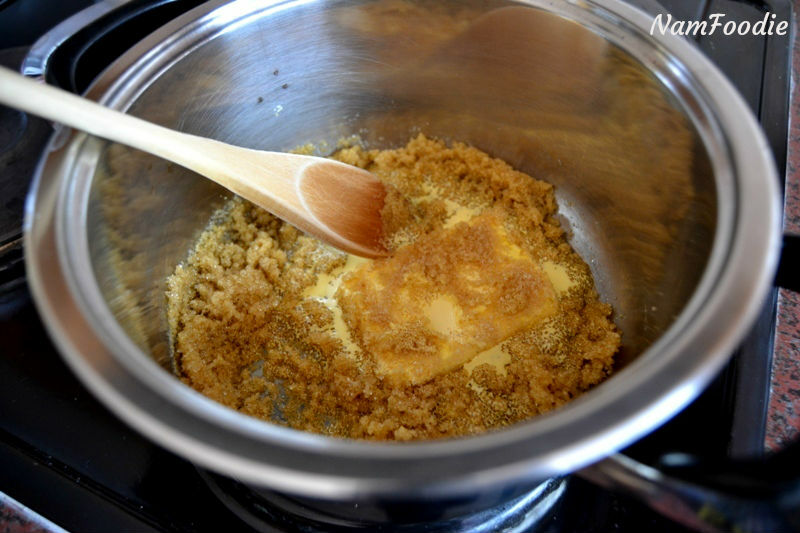 On medium heat, cook the sugar and butter while stirring continuously. Cook until reduced and slightly thick in consistency. Cool and store in a cool place. 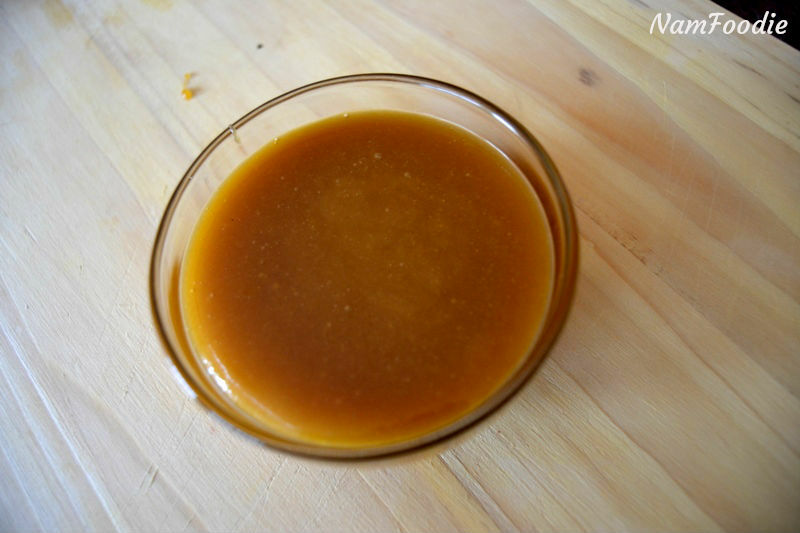 You may use for cooking in recipes that require syrup.